Working for many years as both a play therapist and in a national suicide prevention role, KidsXpress founder Margo Ward saw first-hand how unresolved childhood trauma could lead to much greater social and psychological problems in adulthood. But when traumatised children were given the creative and emotional resources to work through problems as they arose, she also saw they were able to turn these challenges into opportunities, building strength, resilience and other life skills that would benefit them into adulthood. 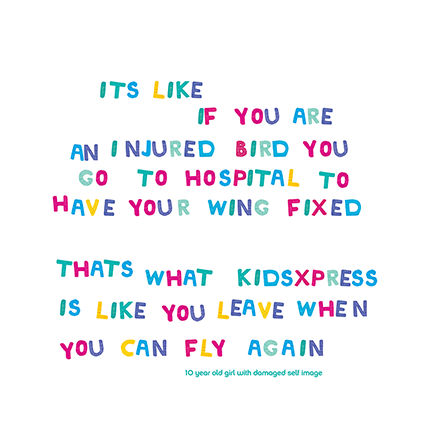 These experiences and observations were supported by international academic research, and led to Margo establishing the KidsXpress program in 2006 – to change the life trajectory for children in need. The program itself is a world-first, combining music, art, drama and play therapies into a group therapy model for children. Following the success of the early programs, KidsXpress has continued to develop so that it is now able to help change the lives of more than 300 families each year.